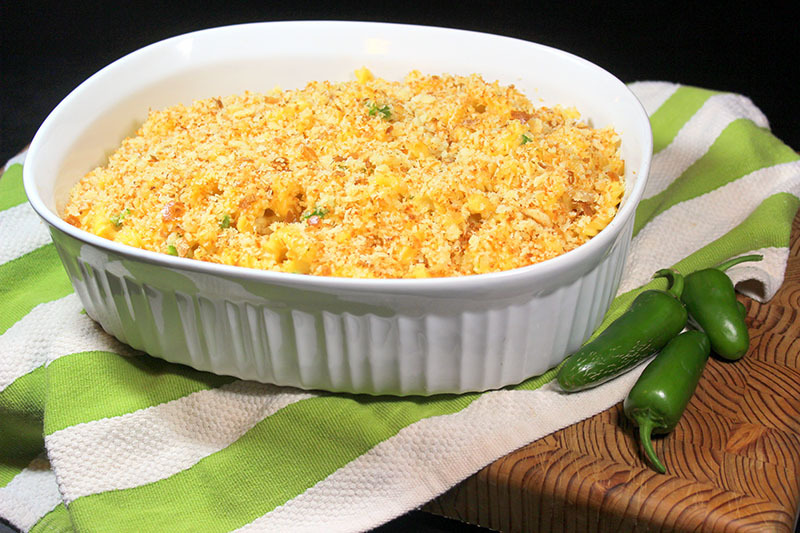 This healthy Jalapeno Mac and Cheese is creamy and cheesy on the inside and deliciously crunchy on the outside – with just a hint of heat from the jalapeno. 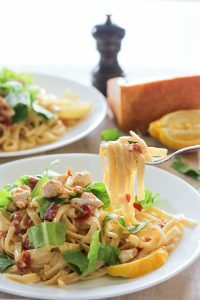 There’s nothing more satisfying than a plate of cheesy, creamy pasta. I, for one, have such a weakness for rich comfort food in the cold weather. But just because it’s rich and comforting, there’s no rule that says it has to be bad for you. 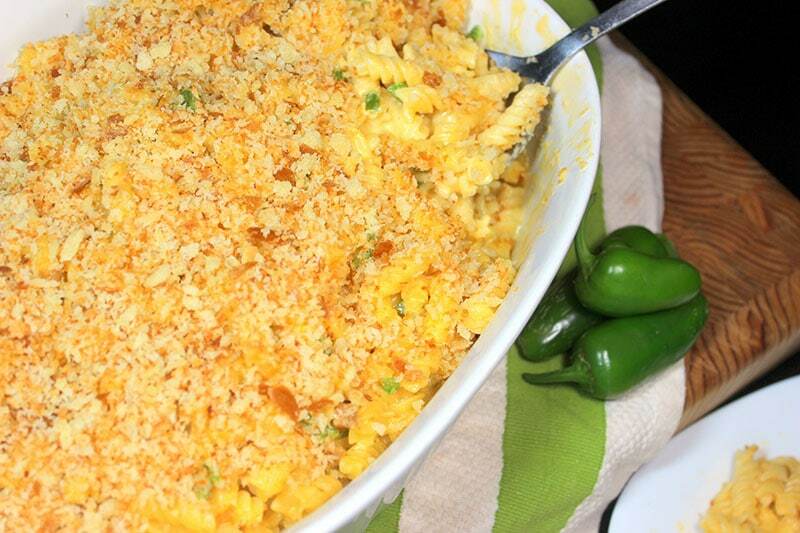 We lightened this Jalapeno Mac and Cheese up with skim milk, plain yogurt and less cheese – but you’d never know it from the taste. If you like spicy food, add the jalapeno, if not, feel free to leave it out – this dish would still be delicious without it! 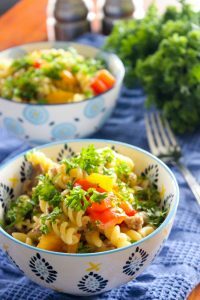 This healthy Jalapeno Mac and Cheese is creamy and cheesy on the inside and deliciously crunchy on the outside - with just a hint of heat from the jalapeno. 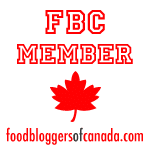 If you're using homemade bread crumbs (and it's definitely cheaper to than using store-bought!) 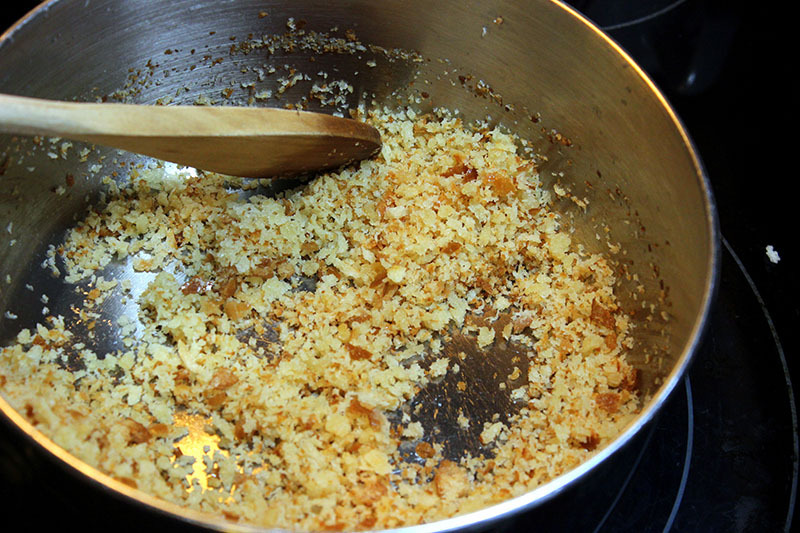 you'll need to turn your bread into crumbs using a food processor. 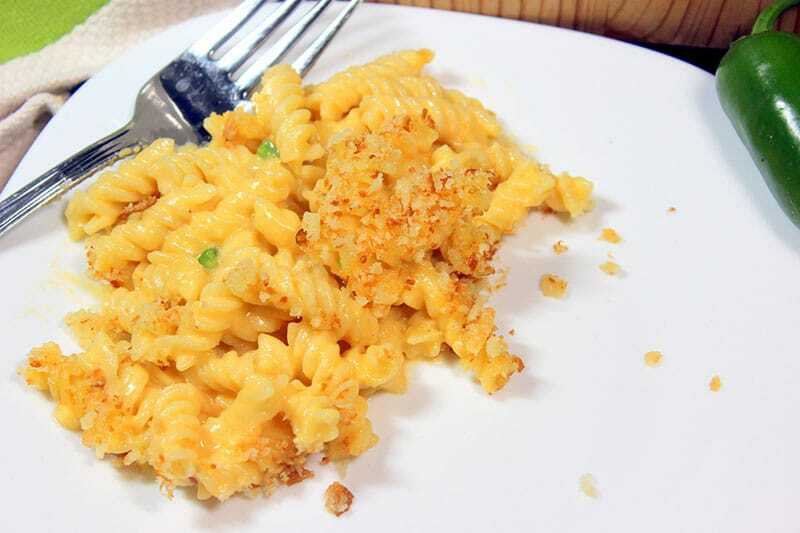 In a medium sized pot, melt 2 tbsp of butter and add the breadcrumbs and 1/4 tsp salt. Sautee the crumbs until they're nice and dark and toasty. Pour onto a plate. Wipe out the pot to reuse for the sauce. 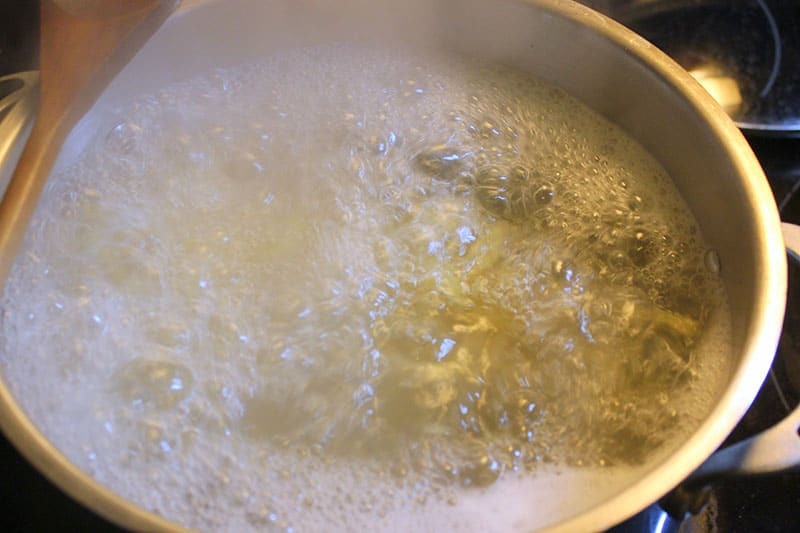 Meanwhile, bring a large pot of water to a boil (around 16 cups) and add 1 tbsp salt, stirring well to dissolve. This water should taste like salt water from the ocean. Add your pasta and cook until al dente (firm but not crunchy), according to package instructions. Drain well but do not rinse. While wearing gloves (or a plastic baggie on your hand!) seed jalapenos and cut out ribs. 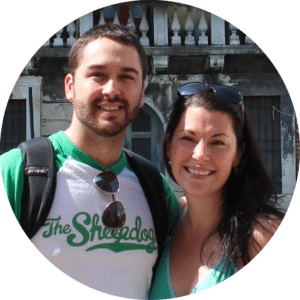 I recommend trying a tiny piece of the jalapeno to see how spicy your specific peppers are - it can vary quite widely. Mine were grown in our garden and I found them quite hot, so I left out the seeds and ribs and only used two. You can adjust according to your own taste. In your medium sized pot (from the breadcrumb step), melt remaining 1/4 cup of butter. Add 1/4 cup flour and whisk over medium-low heat for around a minute. Start to slowly add milk, a few tablespoons at a time. 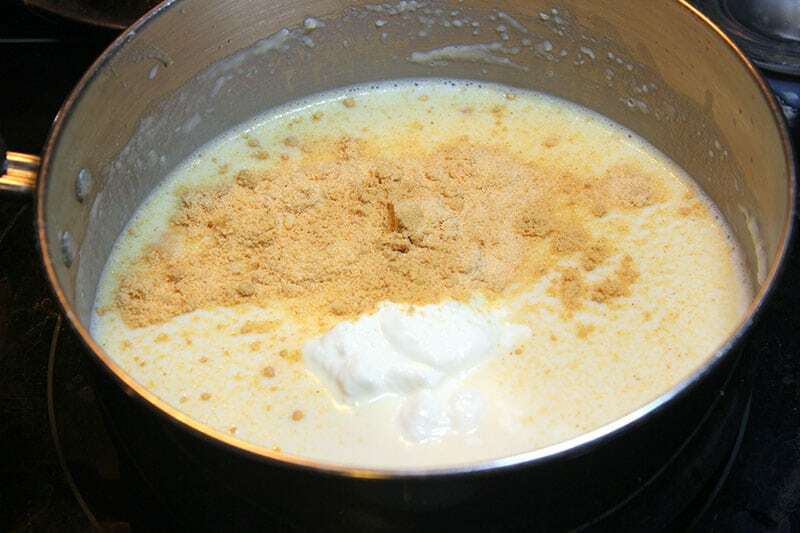 At first the milk will bind up the butter-flour mixture. Whisk until all the milk is incorporated, then add a few more tablespoons. Continue until you have a liquid mixture. Then you can add the rest of the milk called for. 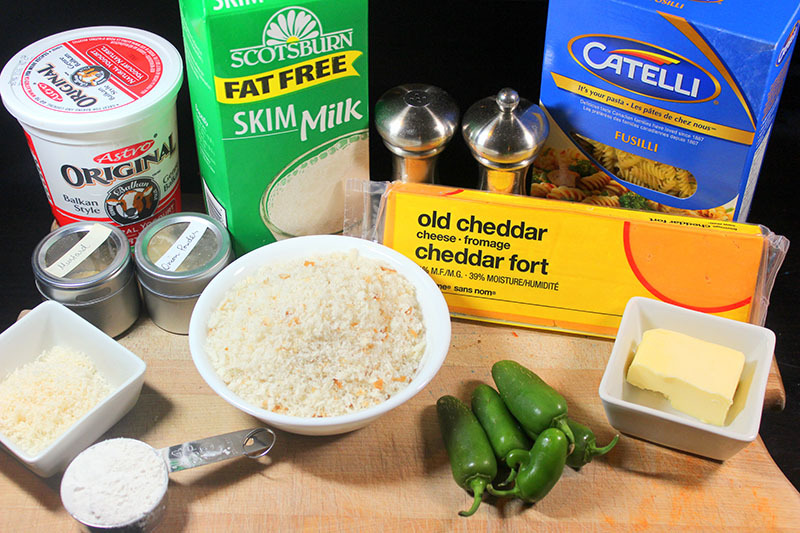 Add spices, yogurt, cheddar cheese, Parmesan cheese, jalapeno, pepper and 1 tablespoon of salt to the pot with the roux and milk. Add drained pasta and mix well. 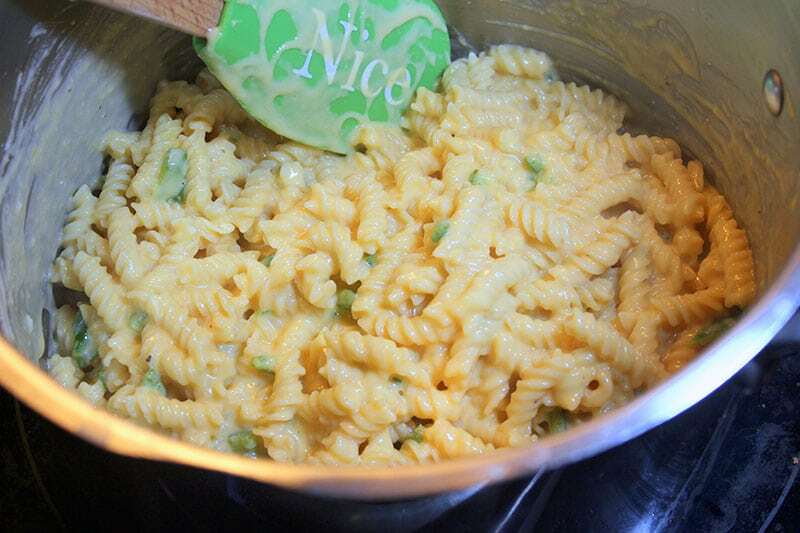 Pour pasta and cheese mixture into a medium sized (2.5-3qt) oven-proof dish. Sprinkle generously with toasted breadcrumbs. Bake in 350 degree F oven for 15-20 minutes, until heated through. 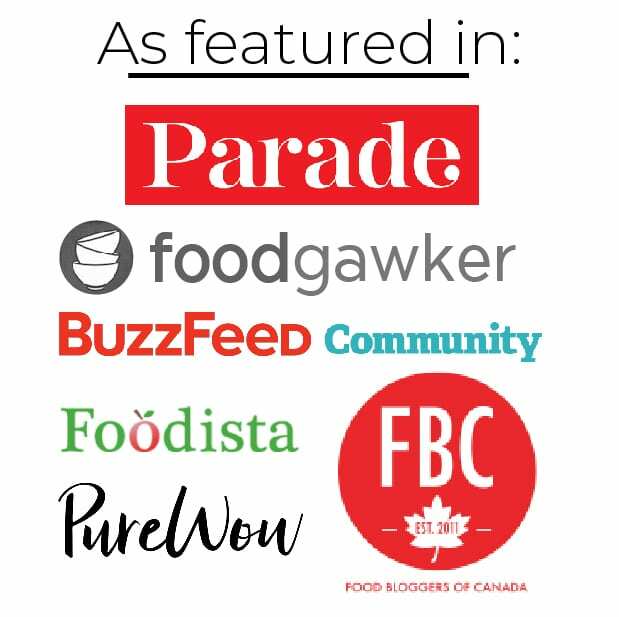 If you’re using homemade bread crumbs (and it’s definitely cheaper to than using store-bought!) 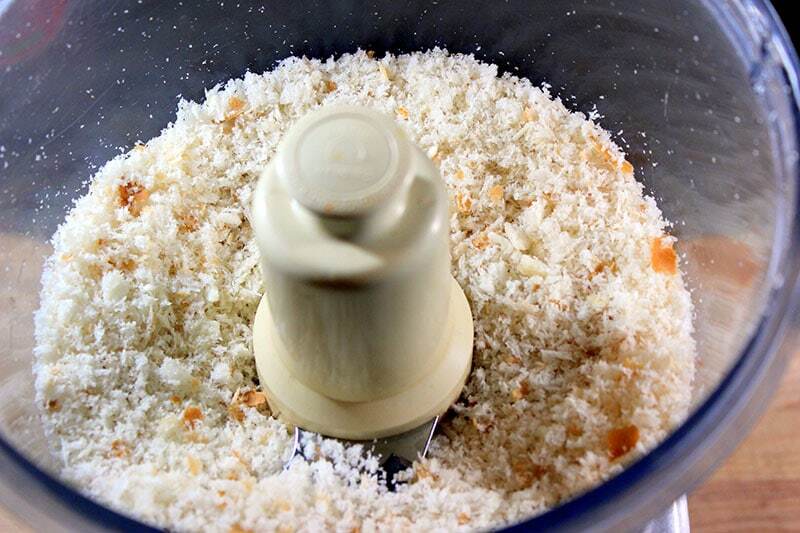 you’ll need to turn your bread into crumbs using a food processor. You’ll need around 2 cups. Saute the 2 cups of breadcrumbs in 2 tablespoons of butter and 1/4 teaspoon of salt until they’re nice and dark and toasty. 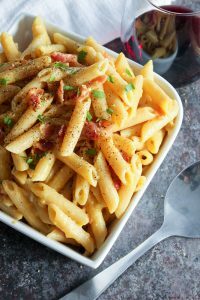 Meanwhile, bring a large pot of water (around 16 cups) to a boil and add 1 tablespoon of salt and one pound (454 grams) of short pasta. Cook until al dente (as per package instructions). Drain well but do not rinse. 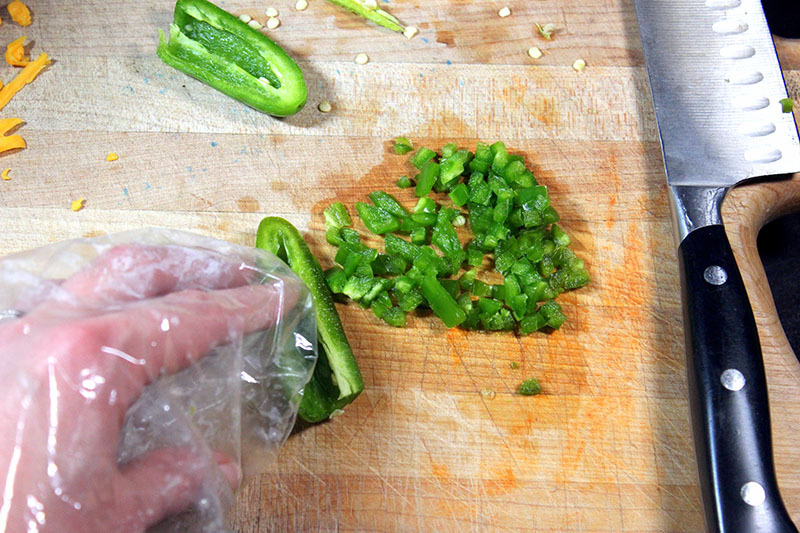 Seed and chop your jalapenos (I did two, but decide according to how spicy yours are and how much heat you like in your food), protecting your hand with a glove (or baggie!). 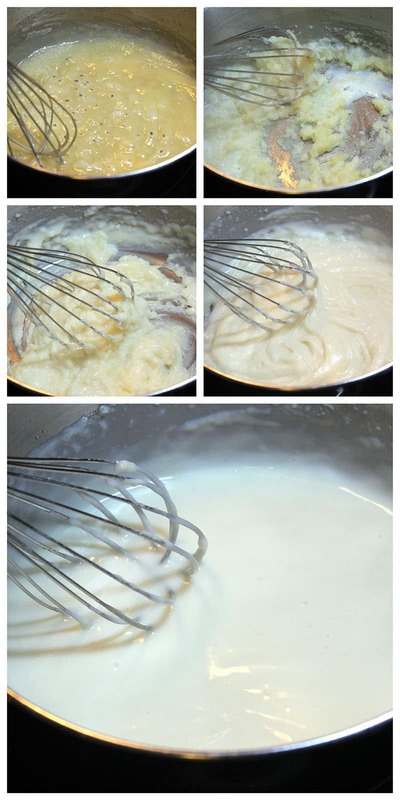 This series of photos shows the process of how to make a roux. First melt 1/4 cup of butter in your pot and add 1/4 cup of flour to it. Whisk over medium-low heat for around a minute. Start to slowly add 2 cups of milk, a few tablespoons at a time. At first the milk will bind up the butter-flour mixture. Whisk until the milk is incorporated, then add a few more tablespoons. Continue until you have a liquid mixture. Then you can add the rest of the milk called for. Add spices (1 tablespoon of each: garlic powder, onion powder and ground mustard) and 1/2 cup of yogurt. 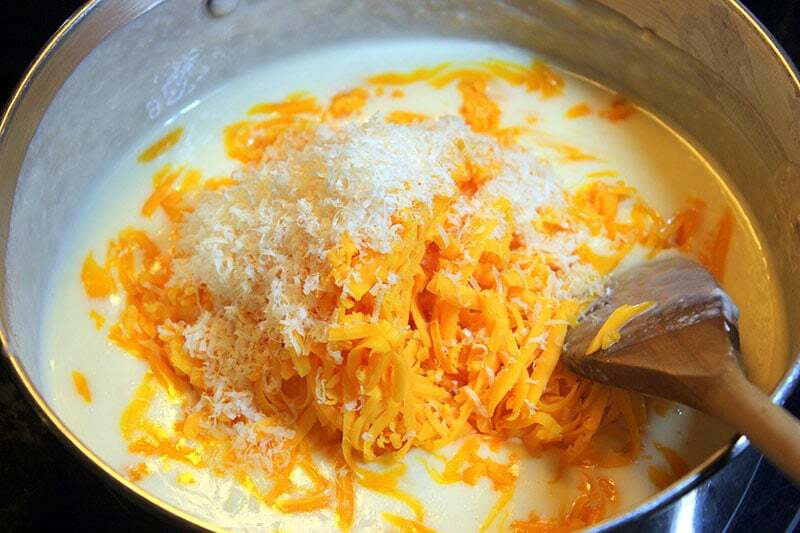 Add 2 cups of shredded old cheddar cheese and 1/4 cup of shredded Parmesan cheese (preferably fresh). 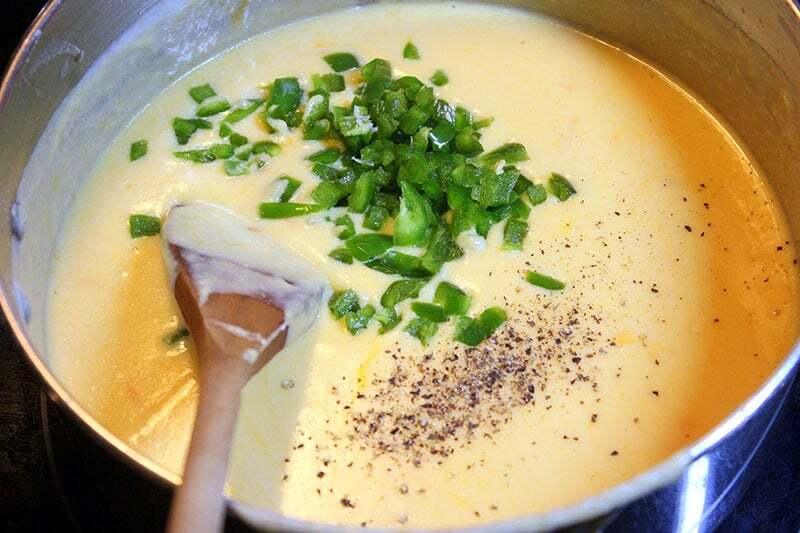 Add chopped jalapeno, 1 teaspoon of salt and 1/2 teaspoon of pepper. 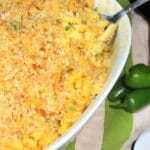 Pour into an oven-proof dish and spread breadcrumbs generously to top. 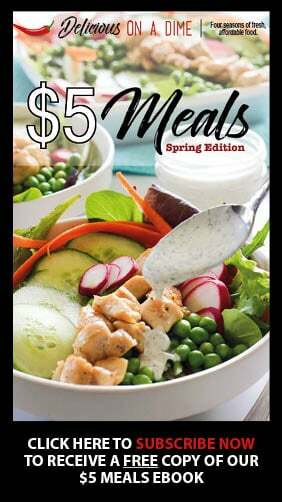 Bake in a 350 degree F oven for 15-20 minutes, or until heated through.